Waifs & Strays are a duo born out of diverse musical backgrounds but brought together by a love of house music, pure and simple. A decade in house music has seen one of the two promote and DJ at some of Bristol’s most influential parties, including the infamous superclub, Scream. In addition he has played across the UK and Europe, with virtually every big name DJ you care to mention, holding residencies at some of dance music’s most influential parties including The Rock in Bristol and the legendary Escape in Swansea. The other took a different path, first cutting his teeth in the world of jungle and drum ‘n’ bass, before finding himself at the heart of the fledgling dubstep scene, Producing under his ‘Soundbox Productions’ moniker and releasing on various labels including dubstep giant Boka Records, a chance meeting on Bristol’s after-party circuit saw this duo’s diverse musical backgrounds brought together to create the effortlessly eclectic and undeniably unique sound of Waifs & Strays. 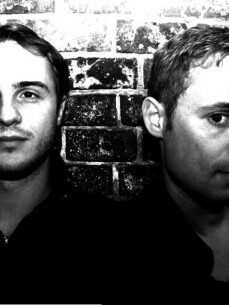 Their debut track – 2010’s late night ‘3am’ – was rapidly snapped up for Matt Tolfrey’s Leftroom imprint, and set the benchmark high for future success; featuring in DJ Mag’s essential releases, and picking up props from major players including Luciano, DJ T, Anja Schneider, dOP, Danny Tenaglia and Laurent Garnier. The follow-up record ‘Yeah Yeah’, gathered significant international support following its debut at the last year’s Detroit Music Conference, smashing dancefloors from Fabric to Watergate. With Heidi calling it ‘the dirtiest house track I have heard in a very long time’ and featuring it on her Radio1 show, and set to be one of the must-have releases of 2011. 2011 sees tracks and remixes forthcoming on the likes of Get Physical, Hot Creations, Leftroom and Futureboogie, including exclusive cuts for the ‘Five Years Of Leftroom’ and Heidi’s hotly-anticipated ‘Jackathon’ compilations, and with a residency at Bristol’s super-hot after-ours The Breakfast Club, it’s time to take in some Waifs & Strays.